This post includes list of all kdramas, other Asian dramas and movies that I watched in the year 2018 with ratings & reviews. Here’s my list of all Asian dramas that I’ve watched in 2018 and they were released in 2018 itself. I think main leads allergy of people is the reason that I decided to watch this drama. 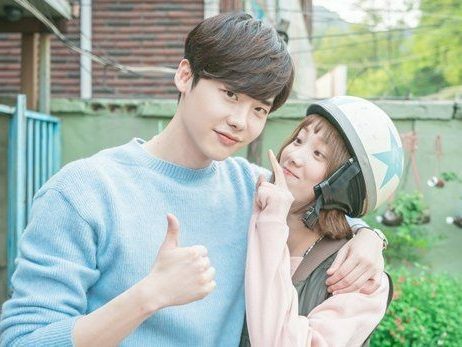 Sometimes I didn’t like the humour in this drama (it was just a few starting episodes and characters I guess) but I loved the chemistry of main leads. I loved it till the end. I just think that after all that they just made the big reveal so easy which he would have definitely overlooked in previous episodes. Yoo Seung Ho is one if my favourite actor now and I am excited to watch his next drama- My strange hero. Hong sisters dramas look big budget and have atleast one actor that will make want to watch the drama for me that one was Lee Seung gi as it was his comeback drama. I also like Lee Hong ki (Bride of the century) who has a supporting role. I enjoyed the different little ghost stories every week. I hated Ma wang character/acting. I couldn’t stand him, sorry. This drama had a very good first half and second half was little to too boring. Still I finished this one. I didn’t care about romance and I hope I don’t see the female lead again, she was okay in the beginning but I disliked her later. You drive me crazy 8.5/10 Mydramalist I heard good things about this one and started it. It was a decent romance drama special which I liked. Secret Queen makers 3/10 I knew I would not like it \nyet I gave it a chance. Now I think Seven first kisses wasn’t bad at all. The Hym of death 5/10 mydramalist I read the story in advance because of the tragic plot tag here. I was looking forward to watch it but I couldn’t enjoy it as I thought it was too slow or boring for me. I liked the female lead in Thirty but seventeen but here and in My golden life I didn’t like her. Lee Jong Suk was good. I skipped a lot in next two episodes. I finished watching this drama in 5 days. I heard so many good things about this drama but I wasn’t getting convinced to start it. Maybe the whole idea of age gap thing was putting me off. As soon as I finished the first two episodes of this drama I was sure that I am loving it and was hooked. I finished this drama without skimming and having same or more interest as I watched more episodes. Only while watching last episode I thought like something was missing. It wasn’t wrapped up as I would like. My new favorite actor Jang Ki Yong was a bonus for me. 😍 Highly Recommended. I was never a fan of Park Seo Joon (because of hwarang and really wasn’t impressed with him She was pretty either.) So, I don’t know, I started this drama because I like female lead Park Min Young (Queen for seven days, city hunter) and Chaebol Rom Com. I wasn’t expecting much but after watching first episode, I was looking forward for the second one. I like female lead and male lead both.After 8 episodes I kept this drama on hold since I wasn’t able to catch up with the episodes weekly and then didn’t had the mood to go back and continue this week finally I managed to watch other episodes and complete this drama too. It was a good romance drama. Recommended. The drama of the year, the couple of the year and so many titles I could give to this drama. I loved every bit of it. I wanted to see more of all cast members in last episodes but they kinda of focused more on main leads only. Anyway, I have nothing else to complain. Cha eun woo deserves all the love and appreciation that he is getting now. 😍 Highly recommended. (Favorite osts Something and D-Day). I heard good stuff about this so started this drama even when i was in drama slump. I think i liked more than half of the drama. Second half was bit dragged and i don’t remember much now. I loved the concept of this drama. And it’s starting episodes were really good. After 8-10 episodes it started to get boring like most of the dramas and I somehow finished it. All cast members were good. I am a fan of let’s eat series. I have binged watched both dramas last year and I was waiting for this one. Let’s eat 2 was more special to me because of female lead’s one sided crush on Second lead. This season is all over the place. I didn’t enjoyed this drama as much as it’s previous seasons. Drama was good towards the middle. Start wasn’t very good and end didn’t bother me. I am glad it ended with 14 episodes only. Voice is my most favourite crime thriller drama. I had same expectations from season2. I think the starting episodes were as good as season 1. I think villain of this season wasn’t as impressive as it’s previous season. 12 episodes were just enough. I don’t feel anything about the end cliffhanger but I think i will watch another season too. Randomly binge watched this till ep 8 and then while airing, kinda liked it. Wouldn’t have loved it if I was to watch it weekly. Drama is pretty good romance fantasy but not a must watch. I had huge expectations from this drama as I was eagerly waiting for it to release but few episodes in and I was bored. It wasn’t a bad drama but not anything like expected it to be. I wasn’t invested in romance part of this drama. These are all the kdramas from 2018 that I have dropped and have no plans on finishing them. The main reason for dropping this drama is the plot development or pace of drama. Since I was watching them while airing I had less patience. I don’t think most of dramas are worthy of finishing them now. Maybe Mr. sunshine and Familiar wife might be good dramas because I heard good stuff about them in final reviews. Currently I am not interested in finishing them. Most favourites are Prison Playbook, Five enough and Go back couple. I watched most of these drama from Jan- March. So my thoughts are written over there. Ratings tells how much i loved the drama more than my thoughts would. I just couldn’t get into these dramas. I believe I gave them a fair chance with no. of episodes that I have watched. But I just couldn’t like them enough to continue watching. The reasons are casts, acting, story, plot, and sometimes I was just too bored. I won’t be giving them another chance. These are the dramas that I haven’t finished. I gave rating depending on how the much I liked the episodes that I watched. I know all these dramas have good ratings and reviews generally but i just couldn’t get myself to continue them for various reasons. I didn’t drop these movies because they weren’t good but because I couldn’t continue them for some reasons. Click here for all posts of my currently watching dramas. Mydramalist- All dramas/movies/kshows I watched in 2018. Also check my monthly watchlists for more. i recommend watching the most popular web series of this year “A TEEN- EIGHTEEN” . OST won an award too . When you want too many kdramas you get familiar with all cliches, and kind of know how good dramas & bad dramas (of course from one’s perspective). And mostly because of DRAMA SLUMP.